The final results showed just how close the racing had been during our 2016 Autumn Series. 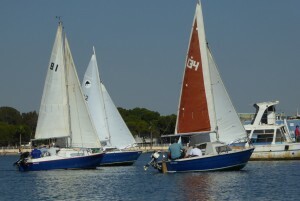 Five race days were completed the other three were unable to be held because clashing events made sailing impossible at CTD. The results are calculated using the ‘low points’ system with the best six to count. The clear winner was the Shoestring Groups Cuatro with 13.75 points. 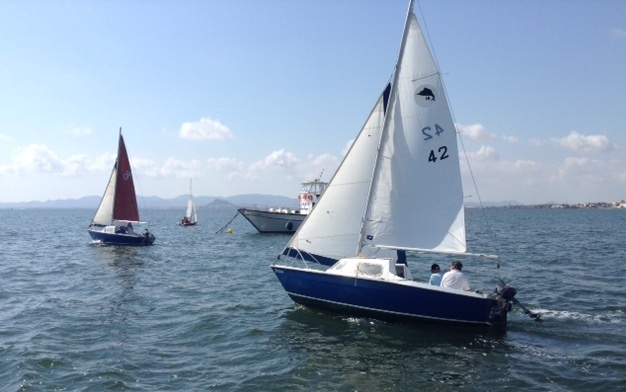 Second was the Balaton Groups Sirocco with 20.5 points, closely followed in third place by Shoestring Dos with 21 points and fourth Shoestring Uno with 21.75 points. For the non-mathematicians that’s just 1.75 points between second and forth, about as close as you can get. Congratulations to all who took part. 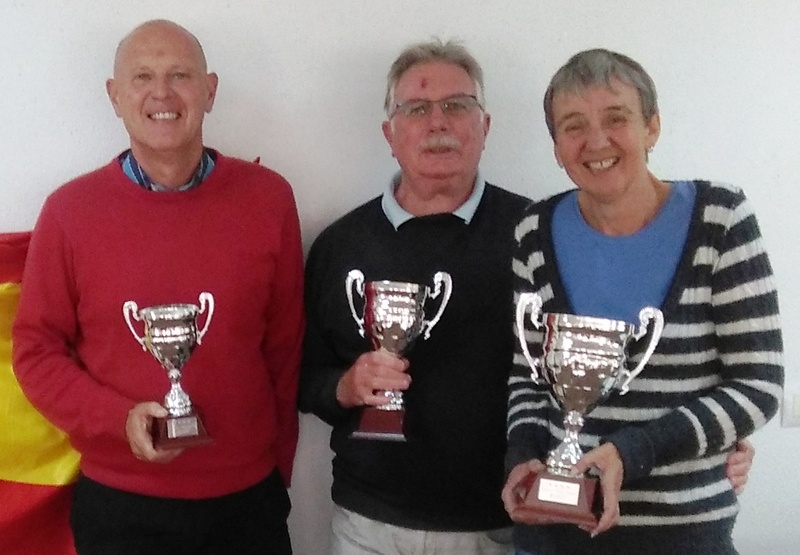 As Group owned boats they were all sailed by different skippers and crews so the trophies for the top three places were presented to a representative of each. Diane Hardwick for Cuatro, Terry Chapman for Sirocco and Tim Clarke for Dos, pictured from right to left in the photograph. The Spring Series 2017 will start in March and all comers, not just SAMM members, are welcome. The dates will be on the ‘Race Dates’ page after the AGM. Seven boats entered but the start was delayed to 12.15 pm when the support boat engine would not start and the old rib had to be forced into service. The fault was found to be a rusted float needle in the carburetor and was fixed by Bob Miles, Ernie Foster and his friend Oscar by the second race. So many members of the Balaton Group arrived for the race day on Sunday 30th October that two of the founder members had to stand down so three new members could experience racing for the first time in the group’s three day boats. They were joined by four Shoestring Group dinghies and one independent boat. The morning race was delayed by lack of wind but at 12 noon it had come in at 4 knots and the Balaton boats started. Sirocco made a poor start and crossed the line with the dinghies at 12.05pm but made up her deficit and was the first day boat to finish. 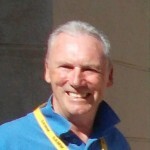 The conditions suited Don Clark in his Hartley. He soon led the fleet and finished the first lap in a slow 29 minutes, Sirocco took 52 minutes. This slow pace forced the Race Officer to shorten the race to 3 laps which all the dinghies finished by 2.45pm. 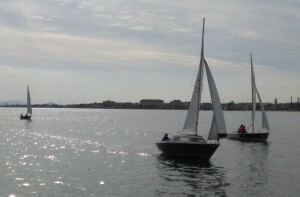 The Balaton boats needed a stronger wind to sail their best so took around 45 minutes longer. As the clocks had gone back and it would get dark earlier the second race was kept at three laps and started at 15.00 hours. 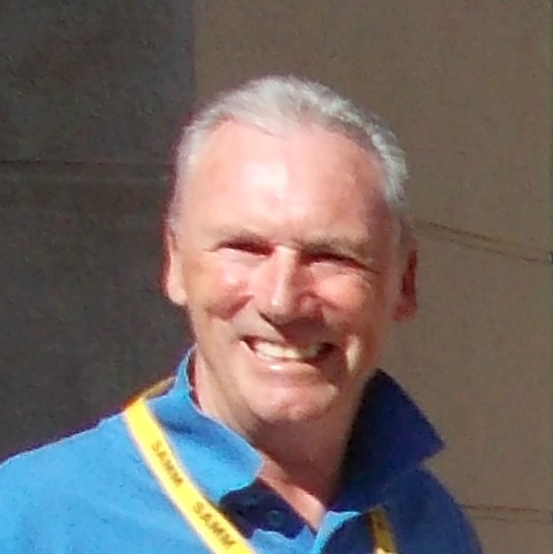 The wind had increased to 6 knots and again Don was in the lead by the end of the first lap and held it to the finish. Mistral had sailed badly in the first race coming in last and it was apparent from the Committee boat during the second race that something was amiss as she was crabbing sideways on the beat. Her rig and keel need urgent investigation to locate the problem. There was some close racing at times, especially when a dinghy overhauled a day boat and the results were. 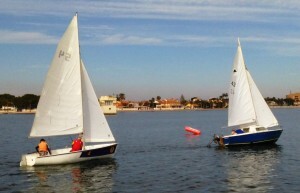 First race: Harltey, Shoestring Dos, Shoestring Uno. The race day on October 2nd was set to be a good one when 10 boats and their crews registered to compete but from then on it started to deteriorate. 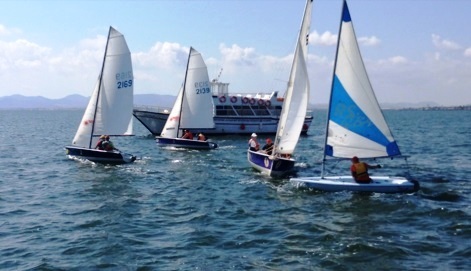 The forecast wind was SW to SE, so the course was set for this but the first race was delayed by 15 minutes as there was no wind and by the time a start was possible the wind had changed direction twice resulting in a reaching start. The two Sailfish were to start first but, due to delays in getting the crews out to the boats, Sirocco only just made it. For the dinghy start 5 minutes later many of the boats crossed together and there was much shouting for water. Mistral only managed to get to the line after the dinghies and then on her second lap missed the first mark. The delay sailing back effectively put her out of the race so she retired at the end of the third lap. 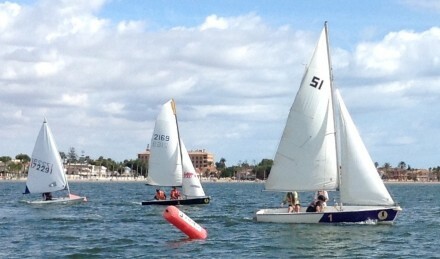 By the time of the second race the wind was NE 5 to 10 knots so the course was reversed. Sirocco was away first to be followed after 5 minutes by the dinghies. It was a close start with lots of shouting with one boat was going in the wrong direction as its crew did not attend the briefing and were unaware of the change. Thank goodness no damage was done. Each lap was closely contested with the Race Officer struggling to record the times as several boats crossed the line together. Four quick laps with just seconds separating the boats corrected times. During the morning the Race Officer had developed a very bad migraine which unfortunately affected his performance. The results were announced but later checking highlighted time recording errors in the first race which had to be declared void and maths errors in calculation of the second race which affected the announced result and showed that Shoestring Uno was the winning boat. Never-the-less a good day out and some fine sailing by all crews. The next race day is October 16th, 10am on the beach at CTD Los Narejos. The wind did not perform as the forecast on September 18th, it blew steadily from the east to south east all day making it a really great day to sail. Eleven thirty saw the larger boats jostle in front of the start line waiting for the start horn, “Sirocco” with Julian on the helm made a perfect start crossing immediately after the horn sounded, closely followed by “Connie” with Bob and Janice on board. “Mistral” with Leon and Martin were caught away from the line and in haste made some hurried tacks which left them having two or three attempts to get through the start gate. Five minutes passed before Mistral managed to clear the line just as the dinghies approached all abreast for a very impressive start, now the race to catch up and Connie was on. The dinghies lead by Brian and Jim in the Laser 2000 Shoestring Dos soon caught up Mstral, quickly followed by Norman in single hander Laser radial, then “Uno” with Jack, Vernon and Tim on board. Cuarto had made the worst start of the dinghies but was soon to put things right with Dianne on the helm and Tug and Kerry as crew. Connie, being a much heavier boat, needed more wind and was slowly being caught, meanwhile Sirocco was forging ahead, benefitting from her new sails and with Julian steering a really tight economical course without errors, unlike what was going to happen to him in the second race. The race continued for 4 laps each boat trying to catch and overtake the others and was a pleasure to watch from the high vantage of a ferry boat kindly made available to SAMM by Angel and his family. The second race was really made interesting because the course had to be sailed in the reverse direction to race one. Helms had to choose which tack to approach the first windward buoy and to be aware of the rock breakwater to their port side. 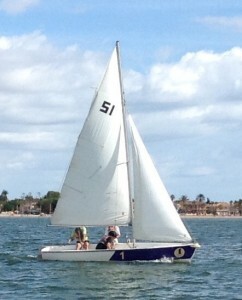 Connie with Bob and Janice made an excellent start, going away from the start line and the rock shore on a port tack. Sirocco and Mistral chose the starboard tack heading towards the rock breakwater knowing they would have to make an early tack in the direction of the first buoy. Five minutes later the dinghies fought for start position and Cuarto who seemed to have picked a really good line was blocked by Uno who suddenly switched from a port to a starboard tack, giving her the right of way. Connie seemed to have taken the best tack and got round the first buoy ahead of a closing Sirocco. Six laps of really good seamanship followed with the wind strengthening all the time. By the second lap Julian and Sue took the lead in Sirocco and then, for some unexplained reason, lost the plot and missed out a buoy costing them a lot of time going back down the course to amend their mistake. Cuarto and its crew seized the opportunity and took over the lead with the Dos close on its tail eventually overtaking to take its turn at the front shortly after. 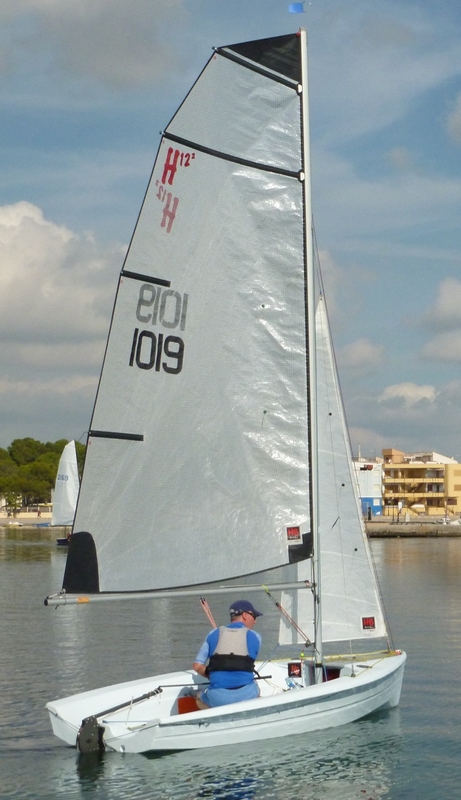 Some excellent sailing by Norman saw him recover his single handed Laser, which on several occasions seemed on the point of capsize as he passed through the jibe and up through the gate. Meanwhile Julian, like Louis Hamilton, was making amends for his error and sailed tighter to the wind than most saving him an extra tack up to buoy one and visibly started to haul back his deficit. Six boats and their crews competed in the first day of the Autumn 2016 series on September 11th, a good number considering many members have not yet returned to Spain after their summers away. Wind was 5 to 7 Knots NE and sea state moderate. It was decided by the RO to conduct one race consisting of 6 laps. A fairly lengthy course was set entailing approximately 25 to 30 minutes per lap. The start gate was between the bows of the two moored ferries with the race officials having excellent oversight from the one we are using as the Committee Boat. The gate was slightly narrower than usual and proved to be an exciting challenge, which all boats met with excellent handling skills. First to go were the two sailfish with only 5 seconds separating them over the start line. The dinghy start was even more exciting with all 4 boats jostling for position and crossing within seconds of each other, too close to set them apart. Six laps proved to be quite tiring for some of the crews and pretty soon they were all spaced out over the course. Despite that, with the slight adjustments of the handicaps since last season, the final results were quite close with Sirocco first followed by Shoestring Dos and Tres in close pursuit. At the debrief everyone agreed that it was a good course, a very enjoyable day. It was pleasing to note that almost everyone stayed for the debrief and a little social get together afterwards. The use of the ferry proved to be an excellent vantage point to monitor the race and bodes well for the rest of the season. The next race day is on September 18th then every other Sunday till November 27th. The SAMM 2016 Race Series has been a great success, despite the changes forced upon us by CTD, with 13 of the planned races being run. The cancellations only due to other events at CTD making it impossible to go ahead. It was a closely fought competition for the top three places and the results could have been different if the regular skippers on Conny and Sirocco had been around for the last race day. Each boat was able to discard their worst three results so that 10 of the 13 counted. 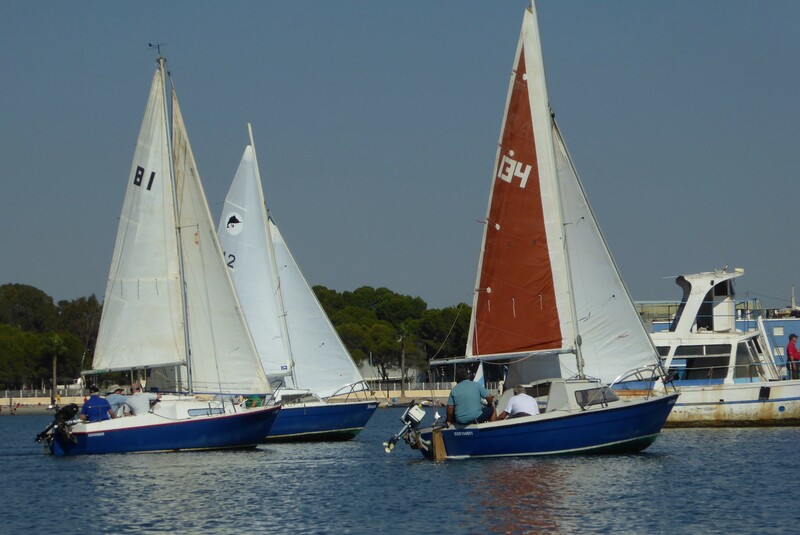 SAMM run these handicap races on the low points system, the wining boat being Shoestring Cuatro with 17.75 points including five race wins, second Sirocco with 27.5 points and third Conny with 29 points. Sirocco’s second place was notable as, for many races, she was sailed single handed by Julian Pering, right in the photograph. 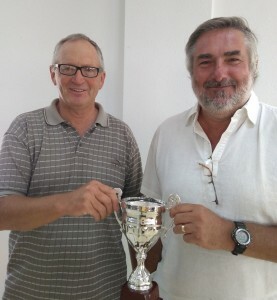 Cuatros crew varied during the season so Jack Moss, left, collected the trophy. Everybody is looking forward to the Autumn Series which starts on September 4th. 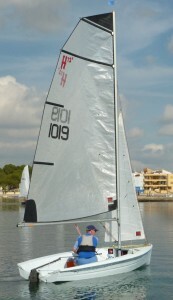 16 indicates that the boat did not compete in that race.